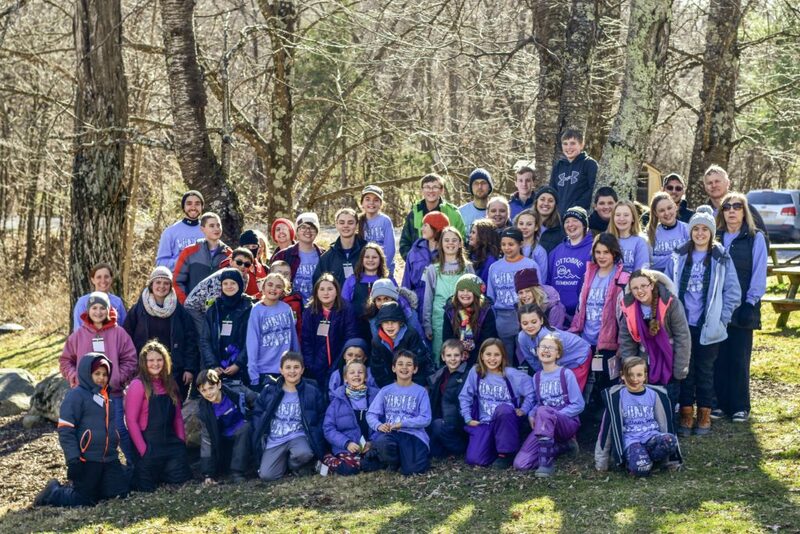 Winter Camp 2019 was a huge success! 46 campers - the most EVER - signed up for this overnight camp including a full day and night of fun! 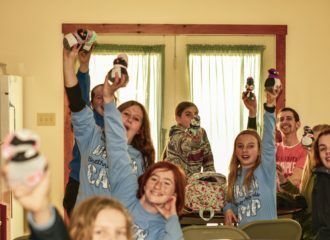 Campers arrived on Friday night, registered, and got moved into their cabins. 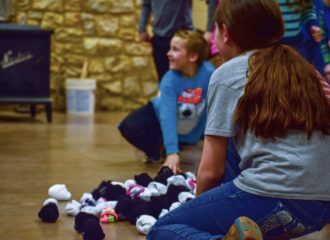 Then we got to know each other with a Winter Celebration including snowball group juggle, a penguin igloo building contest, and the annual lost-and-found sock snowball fight! During Vespers at Cherry Hill, Dean Dale acted out a humorous variation about a special feast that was prepared for everyone (Luke 14:15-24). 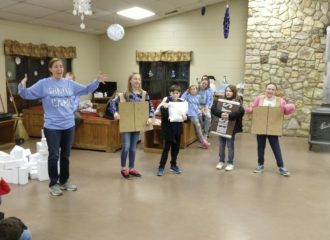 Campers and staff then "feasted" on s'mores and sang songs together. Saturday morning started with family group time - including gaga ball! - and then groups headed to the Lake for Morning Watch. Two geese on the Lake entertained us while we sang and heard stories from Dale about God's light shining on our path. 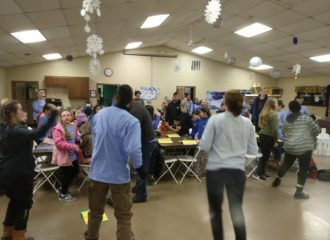 Then it was time for a delicious pancake breakfast served in the Retreat Center. 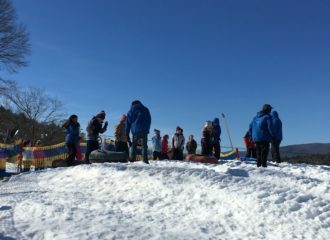 After breakfast, we sang songs and campers packed lunches - we knew we'd have some growling stomachs after our adventure! Then we loaded up the vans to head to Bryce Resort for Snow Tubing! 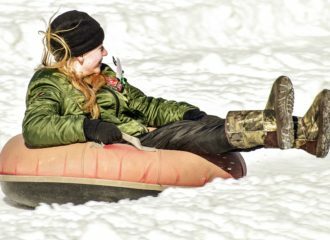 There's few things as much fun as flying down a hill in a tube! The recent warmer temperatures and then the cold night made for some really fast tubing! It was great! We enjoyed our packed lunches in a very sunny spot at the resort and were treated to a hot chocolate surprise! Then it was back in the vans for the ride to camp. Back at Brethren Woods, we took a group picture and then headed off for our afternoon activities. Everyone got to make a cute little penguin with our Crafts Director, MyKenzie. They also got to have Bible Study where they dug deeper into the Parable of the Great Banquet. 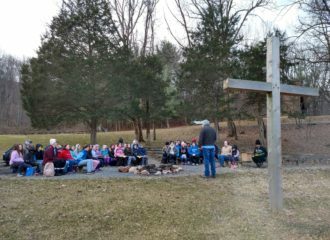 Campers were reminded that God invites all of us to God's table and we also learned the importance of greeting and welcoming everyone to join us at God's table too. Pieter served as our Nature Director where campers experimented with melting ice cubes, did some tree identification, and even got to watch a burning ice demonstration! The afternoon flew by and before we knew it, it was time for a burrito dinner with cupcakes for dessert! We closed the weekend with some songs, a summer camp preview, and completing evaluation forms so we can make camp even better next year! 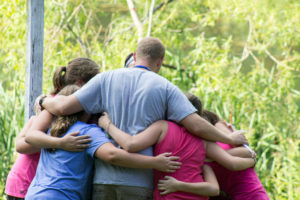 Campers headed back to their cabins to pack up and get picked up by their parents/guardians. We're guessing there was lots of excited conversation on the drive as well as a good night's sleep after such a wonderful time at camp! Scroll to the bottom of the page for pictures!